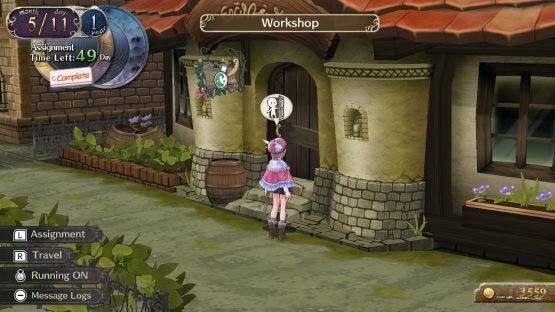 Atelier Rorona DX really is a behind-the-scenes look at a JRPG item shop. 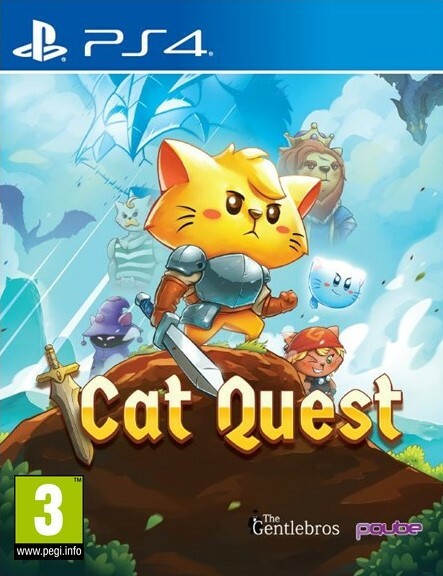 It’s a wholesome game with gorgeous presentation and sweet characters that it’s hard not to find charming from the get-go. 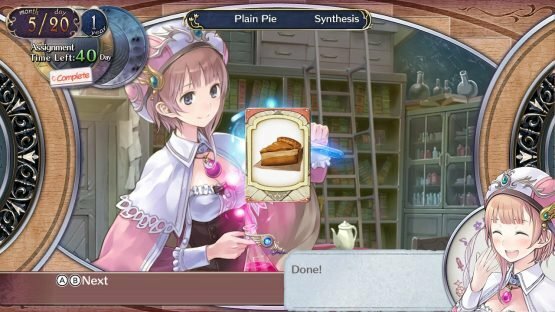 Unfortunately for me, synthesising and customisation are some of my least favourite JRPG aspects and Atelier Rorona DX really does have them in spades. I was blown away by the intricacies Atelier Rorona DX offered in terms of synthesis and quests. There’s a whole detailed process, right down to hiring party members to assist you in dungeons, and building relations with the townspeople by doing extra quests for them. 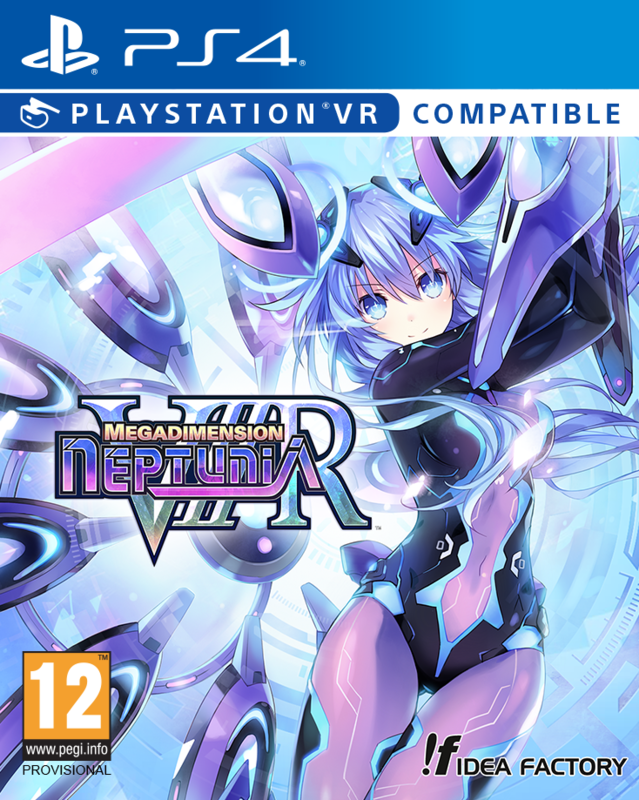 But, while the gameplay has many layers – perhaps too many – the story and characters lack any real substance. Atelier Rorona DX does average well, but it is, ultimately, still only average. 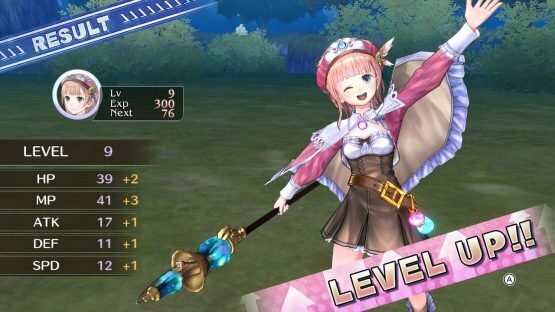 I’m new to the Atelier series and probably not the target audience, but I can acknowledge that it’s good at what it does: Atelier Rorona DX is a light-hearted, ingredient-gathering adventure wrapped in glossy visuals, just I pretty much expected it would be. Sadly, Atelier Rorona DX suffers somewhat from its solid middling, being both not quite sim enough and not quite JRPG enough to excel at either. Beyond the cotton candy fluff and sweetness, I found little to grip me and make me invested in the game. A light-hearted, ingredient-gathering adventure wrapped in glossy visuals. Atelier Rorona DX’s underlying sense of time is a bit of a mystery to me. While it seems like you’re given more than enough time to get your Royal Quests done, it’s also easy to lose time in stupid places. Exploring outside the town, which is essential for gathering many ingredients, is a veritable time-sink, with many locations taking 2 or 3 days to even get to. Between the toing and froing from the town, synthesising items for a range of side quests and also for your own personal use out in the field, it’s not hard to find yourself suddenly overdue on quests and lacking the items you need to progress your dungeon exploration, which then wastes even more time going back and forth to get the ingredients you need to make progress in getting ingredients… It’s a bit of a mess! The calendar system and deadlines add a sense of pressure, but the story isn’t gripping enough to make you want to rush through it, which is both a good and a bad thing. Overall, it’s a pleasant and pretty laid-back game with plenty of charm. A confusion of too many elements. Ultimately, Atelier Rorona DX seems to be a confusion of too many elements. 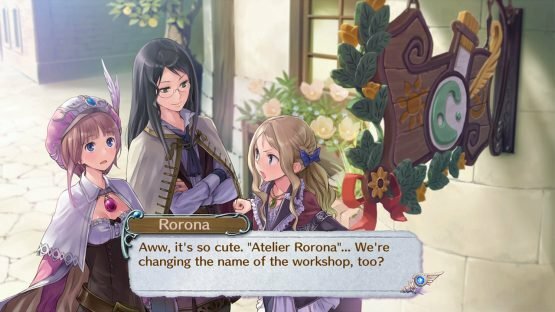 On top of the battles, exploration, hiring and equipping your party members, creating your own useful items, fulfilling plot quests and sidequests, there’s also extra details in the form of decorating your Atelier with various pretty items that do…something. Each of these aspects in turn is nicely attempted, but all together they make a bit of a muddle. It somehow feels as if Atelier Rorona DX doesn’t have enough space to see through all the things it touches upon fully. 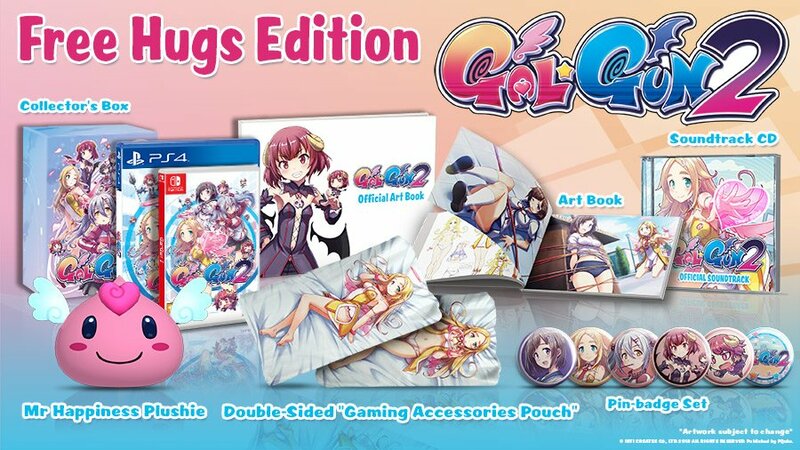 It wouldn’t have shocked me for it to be a mobile game, or at least a port of one, and the core aspects of the Atelier series really make it seem like it would work as such. The upcoming one will confirm whether it does work well or not, I guess! Despite my drawbacks with some of the gameplay, everything is beautifully presented, as is to be expected from Gust. Mel Kishida’s art and character designs are lovely and the cheerful, catchy soundtrack is a perfect accompaniment to milling around the game’s colourful, detailed settings. There’s a whole separate section for making pies. Because why not? 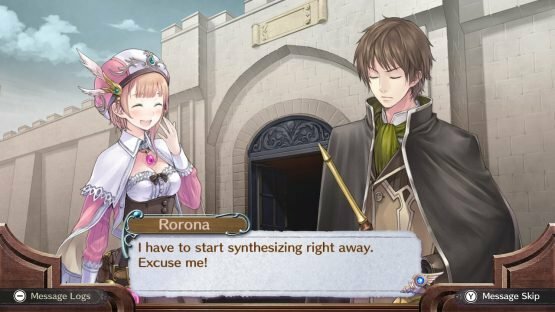 It’s pretty simple: if you like these sorts of games or aspects then Atelier Rorona DX is definitely worth a look, and the Switch triple pack will provide more than enough in terms of frilly alchemy goodness. If you don’t, then it’s perfectly passable and you’re not missing out on much. From watching over my shoulder, my sister was hooked after only an hour, so that’s something! I can certainly see how it would be easy to get caught up in the game’s carefully crafted world and pour hours into it too, though it’s not to my particular taste. I like my JRPGs pretty simple, so Atelier Rorona DX just really overdoes it on mechanics and menus as far as I’m concerned. Atelier Rorona DX is currently holding the title for ‘nicest game I don’t actually want to play’ this year. Take that as you will. While I’m happy to have spent time with it and get a good look at what the Atelier series is all about, I don’t think I’ll be coming back for more from the myriad other titles.